WHO DECIDED WOMEN COULD ASK MEN TO MARRY IN A LEAP YEAR? ~ Legend says St. Brigid of Kildare, a fifth-century Irish Catholic nun, went to St. Patrick asking for help. She was overcome with worry when so many young girls kept coming to her crying because their Irish boyfriends were too bashful to ask them to get married. Ireland's lasses wanted to marry and have babies while Irish lads wanted to take walks, hold hands and drink ale. St. Brigid had an idea. She asked St. Patrick if it would be acceptable in a Leap Year, and only on Leap Day, for young women with bashful suitors to propose they marry. Surprisingly St. Patrick agreed it was a reasonable request. The only problem with this folk tale, according to Encyclopedia Britannica, is that St. Patrick died when Brigid was 9 years old. And no one knows for sure if they ever actually met, or if St. Brigid was even a real person. 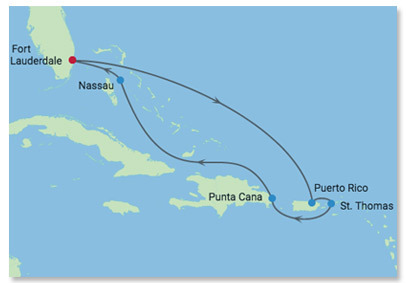 What we do know is that you'll not find a better price than $999 per person to take a cruise for 8 Days / 7 Nights to 4 historical ports of call in the Caribbean. Sail from Ft. Lauderdale, FL in the middle of winter on Celebrity Cruise Lines rated the #1 Best Cruise Lines by Cruise Critic in 2018. Your 4 colorful ports of call are San Juan, where all public services have been restored following Hurricane Maria; Charlotte Amalie, named for the King of Denmark's consort; Punta Cana, with 10 glorious private clubs, pools and golf courses; and Nassau with its world famous straw market just a short walking distance from any ship that docks at Nassau. It's interesting to note that San Juan's Catholic Cathedral, named for John the Baptist, was built in 1540 with white sand and stucco. It dominates over the glorious central plaza of Old San Juan and is the second oldest Catholic cathedral in the Western Hemisphere. But it's not so famous for its size and opulence as it is for its medieval structure which is still structurally sound after five centuries (shown at top). In Charlotte Amalie, the Capital City of St. Thomas in the Virgin Islands, stands the island's synagogue. It's the second oldest Jewish synagogue in the Western Hemisphere. Just down the same street is Frederick Lutheran Church, the oldest Lutheran Church in this same Hemisphere. Having all these religious sites built so early in the Caribbean's history is amazing since the islands were first discovered by and filled with pirates and crime. If your sweetheart loves history, playing golf, drinking ale and swimming in beaches with aqua clear water this is the cruise for the two of you. All deposits fully refundable 'til Nov. 5, 2019. Prices go up as the cruise draws nearer. Don't wait. 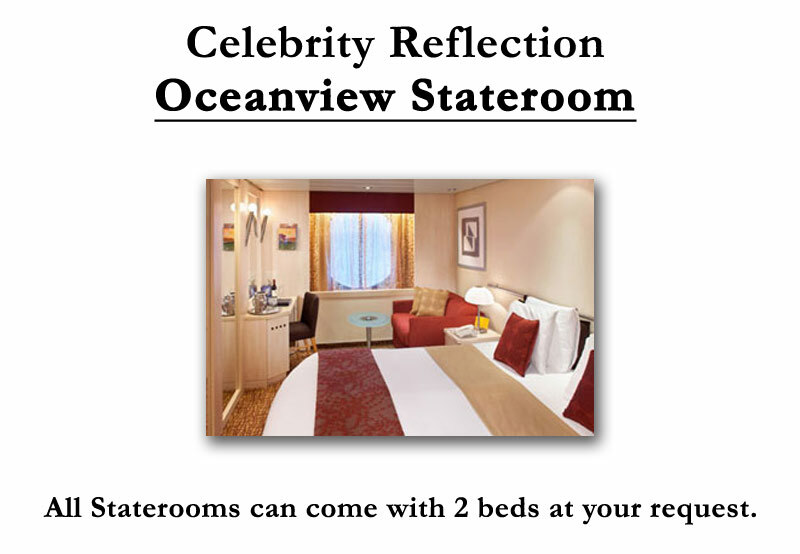 The best prices and staterooms fill up first. To see excursions CLICK ON PORT. Scroll down. 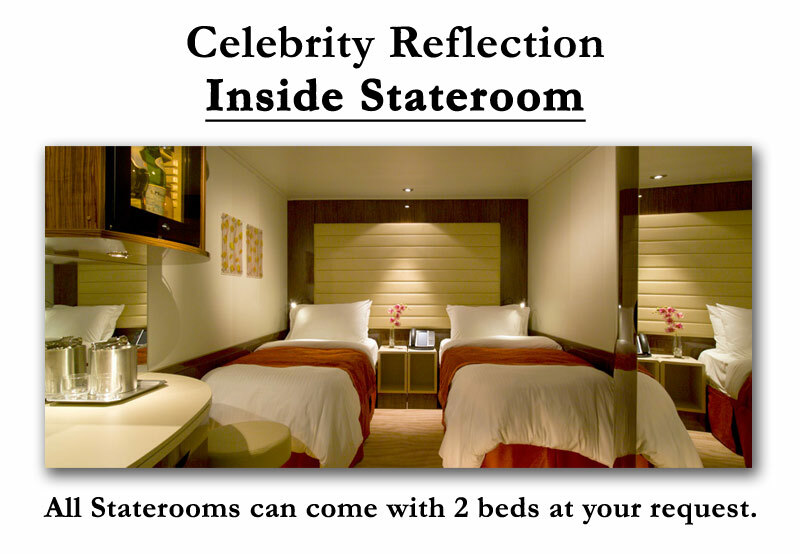 To book excursions with Celebrity call 800-955-9942 for ID. 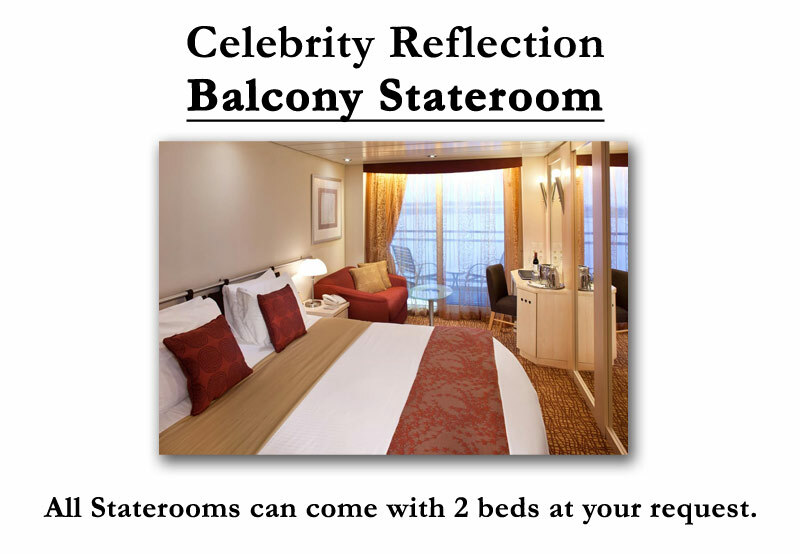 Staterooms have 1 or 2 beds. You can choose either when booking. 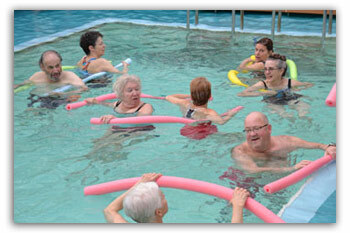 Friends cruise together from Winchester, VA.
Noodles and music are provided for water classes held in the Equinox Solarium heated pool every morning. Classes do not compete with time to take shore excursions. Equinox has 16 decks and an occupancy rate of 2,850 guests. There is 1 attendant for every 2 guests. A pool bar, art gallery, casino, live shows, a jogging track and Sky Conservatory Lounge are just a few highlights of this Cruise Critic #1 rated cruise ship. There's even a full scale lawn on Deck 15. Prices are based on double or single occupancy. Taxes, fees, port charges are $123 more per person. Travel insurance is required. It starts at $69 each. Prices are subject to change. For best air fares call Twins Travel at 703-583-2008. A $500 per stateroom, or $250 per person, deposit will secure this Feb. 29-March 7, 2020, Leap Year Cruise. Deposits are fully refundable until Nov. 5, 2019. Go back to the cruise page. "Thank you for a wonderful week of fun, fitness and camaraderie!" Kathy Bender, San Francisco, CA. "Thank you! Can't wait for this cruise in 2020. It's going to be wonderful!!! !, Joyce Webber, Bunker Hill, WV. "Thank you for setting up all the great cruises you do for us. It is wonderful to know we have the option to cancel if need and that we will get a 100% deposit refund without being penalized. Although, it is only one of the many reasons why we cruise with Fun & Fitness." Robin Vogel, Annandale, VA.
"Fun & Fitness ROCKS!" Tori Reiber, Spokane Valley, WA. "Thanks to everyone. It was indeed awesome. 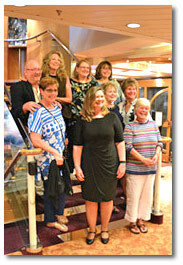 The pre-cruise hotel was fabulous and all the people in our group were delightful. Thanks for all you do--much appreciation." Nancy Ricks, Tacoma Park, MD.